MYRTLE BEACH, SC (WMBF) - A post-recession real estate market isn't affecting construction of new homes in the Market Common area of Myrtle Beach. Two developers have construction crews actively working near Coventry Blvd, which will soon connect Farrow Parkway to Highway 17. Beazer Homes is building ‘Balmoral' at Thornbury Drive and Coventry Blvd, which will have 111 homes. Building a residential area near the Market Common's stores and restaurants has been part of the city of Myrtle Beach's plan for the past 20 years. "The idea was to create an urban village,” said Mark Kruea, public information officer for the city of Myrtle Beach. “To have as many as 5,000 new home sites on what was the air force base and we're making great progress toward that." More than 2,500 homes are in so far and it should take another five years to build the rest. The average price of these homes is $250,000 to $500,000. 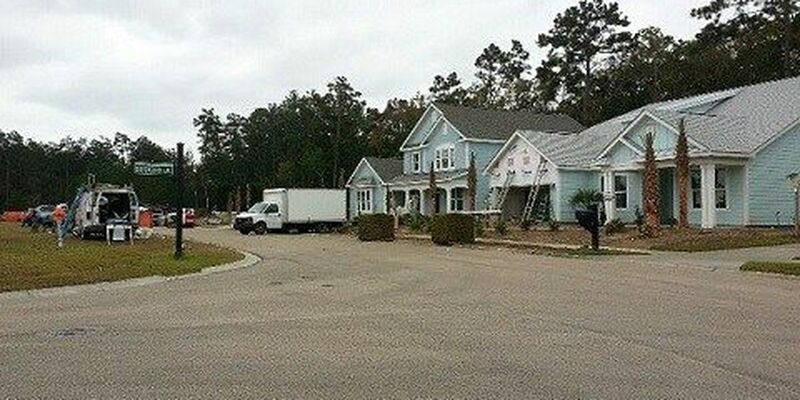 Kruea said there haven't been any problems getting new houses sold in the area as demand is high for both South Carolina residents and vacationers alike. Beazer homes will start closing on houses in Balmoral in February. Copyright 2014 WMBF News. All rights reserved. A letter sent home with some Dillon Middle School students this week has drawn the ire of their parents. Officers with the Carolina Beach Police Department are investiging reports of a body that washed ashore Thursday night.